We offer a variety of sizes and shapes, some of which are shown on this page. 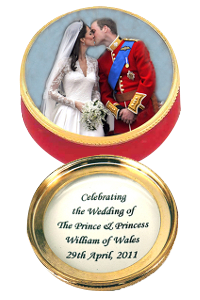 Staffordshire Enamels is pleased to offer bespoke boxes, paperweights and cufflinks 100% free hand painted with your design or monogram and a special inscription. For a detailed quotation, including price and delivery, please send a jpeg and your ideas for a custom box to cwt@ian-lmt.com. Many of our boxes can be hand inscribed, usually inside the lid. We charge GB£38.00 or US$75.00 or €60.00 per inscription. 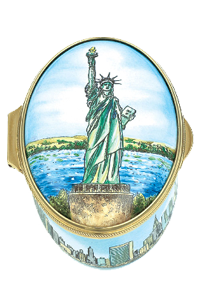 All orders for CUSTOM COMMISSIONS & INSCRIPTIONS must be emailed to cwt@ian-lmt.com or mailed to Staffordshire Enamels in the U.K. or U.S.A. See Contact Us for address details. Please note: We are unable to offer refunds for PERSONALISED COMMISSIONS & INSCRIPTIONS. Staffordshire Enamels requests payment in advance please.